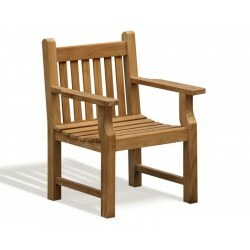 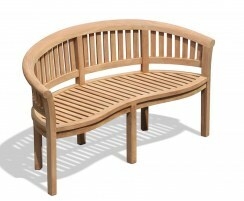 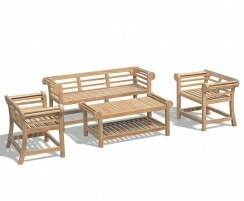 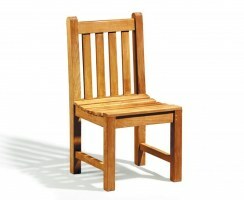 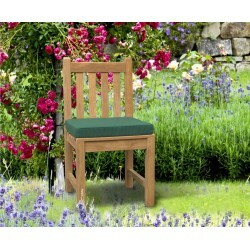 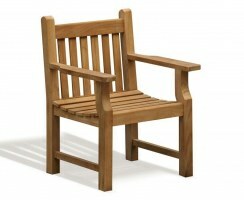 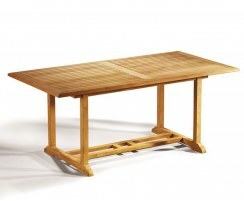 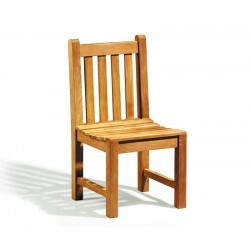 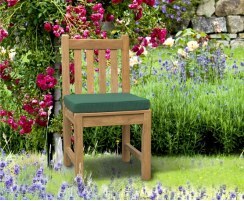 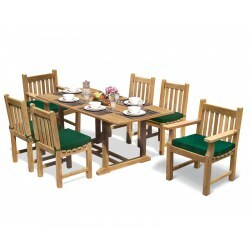 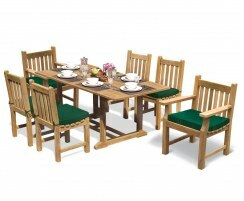 This 6 seat patio set will add a traditional look and feel to your outdoor setting. 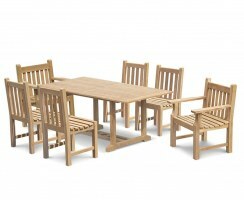 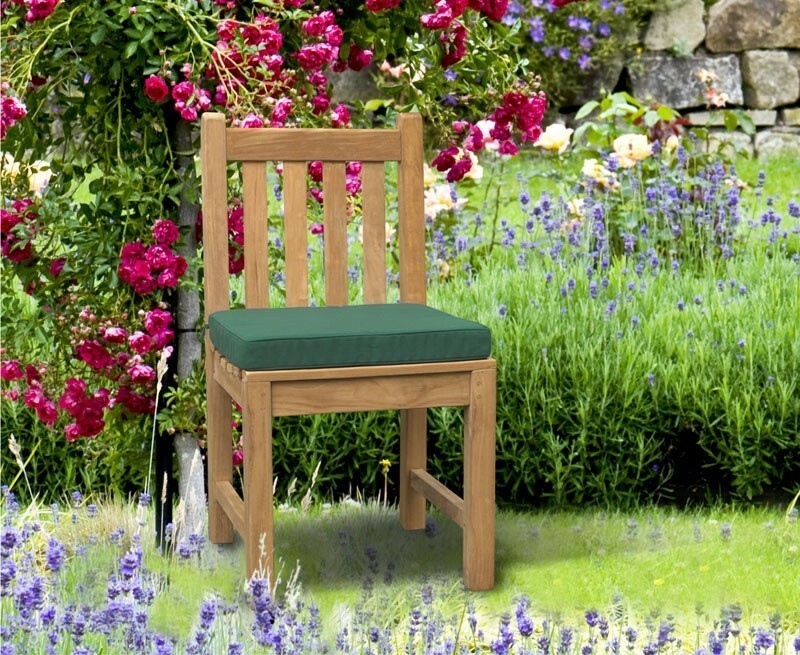 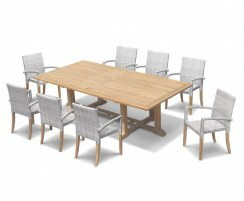 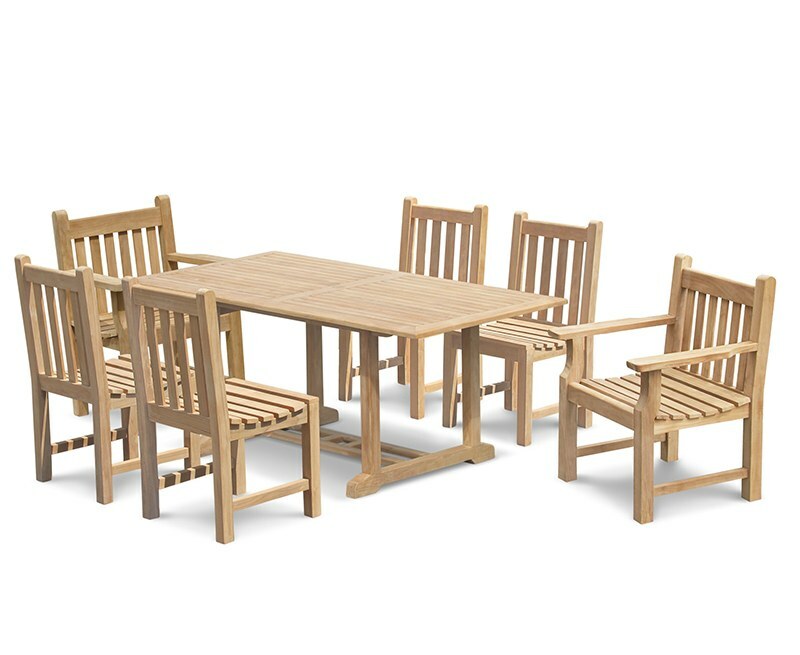 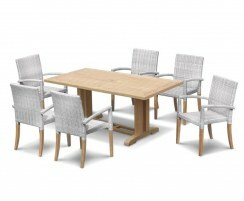 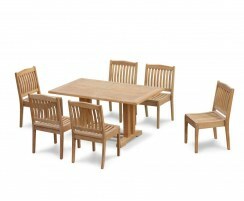 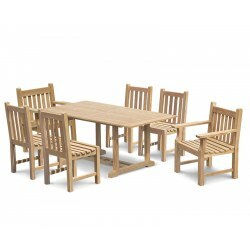 Featuring our Hilgrove rectangular table 1.8m, Windsor side chairs and Taverners carver chairs, this 6 seater garden set is handcrafted from sustainably sourced grade-A teak for superior strength, durability and aesthetic appeal. 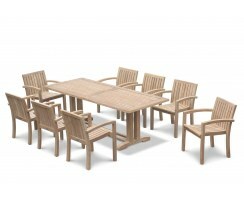 This 6 seat patio set can remain outdoors all year round no matter the weather. 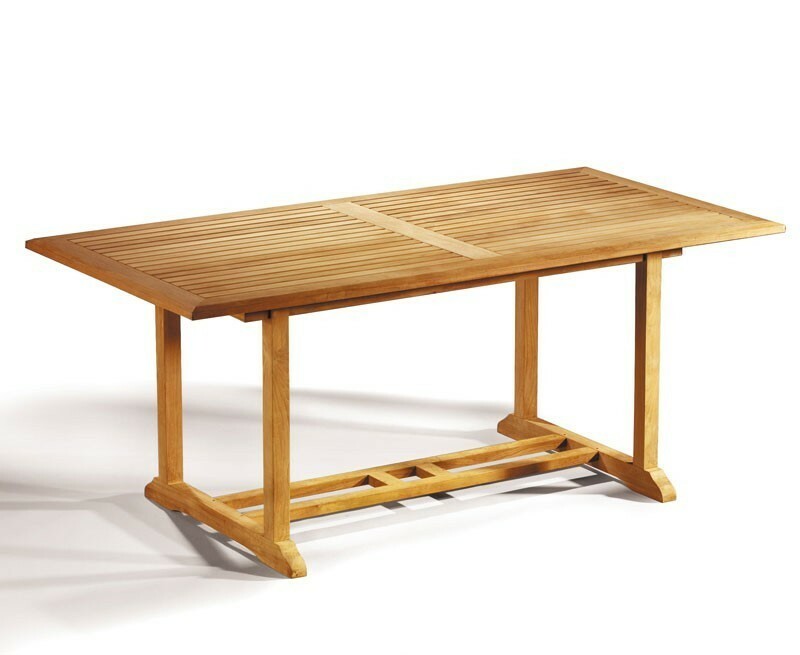 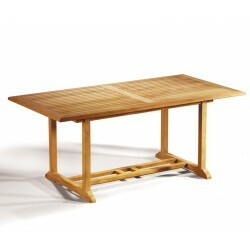 Requiring only minimal maintenance, the 6 seater rectangular table features radial-edged slats to help it dry quickly after it rains, and a chamfered edge for comfort and aesthetic appeal. 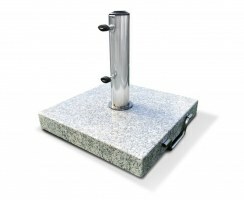 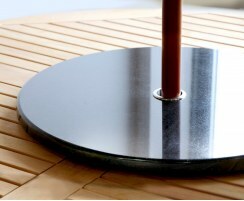 It is predrilled for a parasol with pole diameter of up to 5cm and is supplied with a flush-fitting teak plug for when a parasol isn’t required. 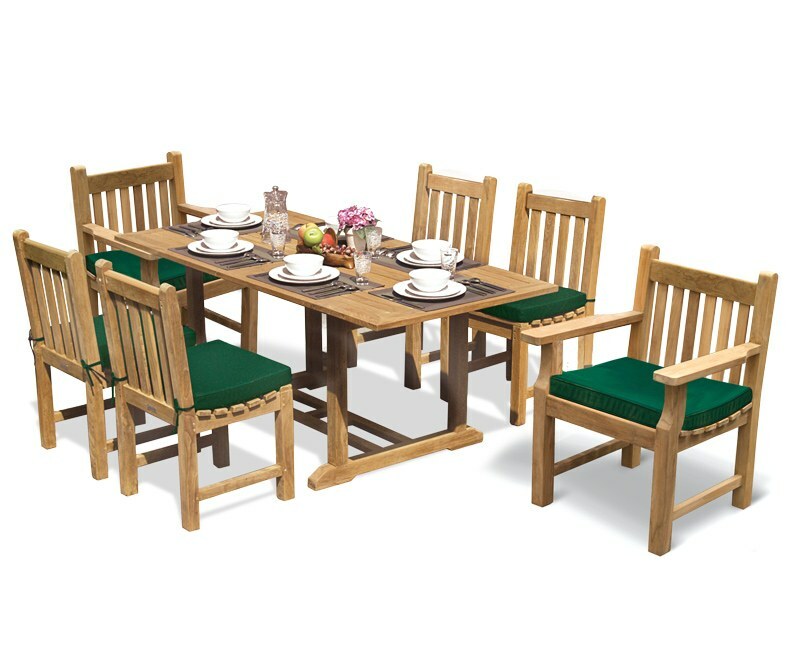 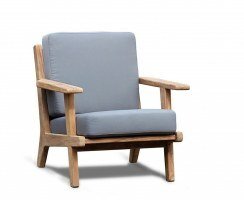 The Taverners armchairs feature a sturdy construction with wide armrests that are ideal for resting drinks and so forth. 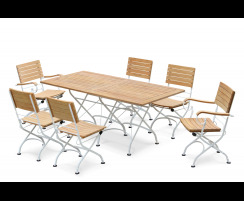 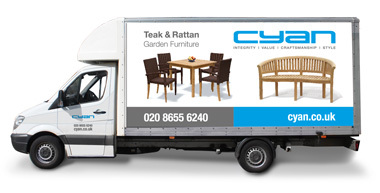 We will deliver this 6 seat patio set to you fully assembled for your convenience. 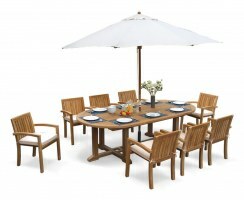 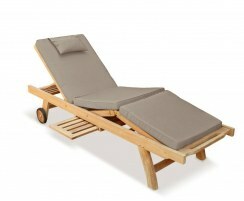 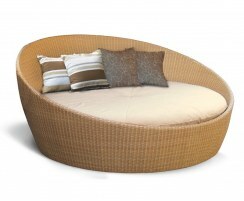 Set the scene with matching, luxury cushions and a quality parasol and base (not included, available separately).